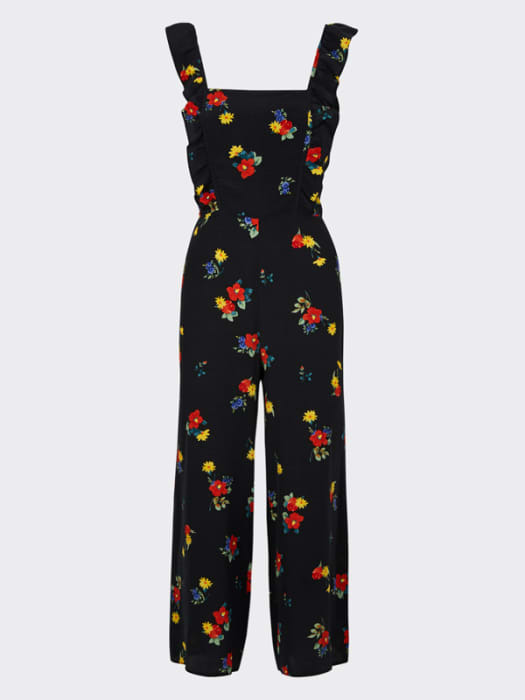 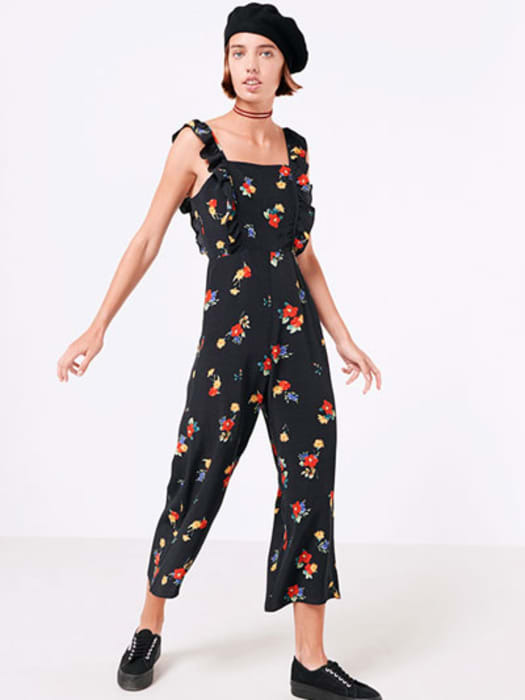 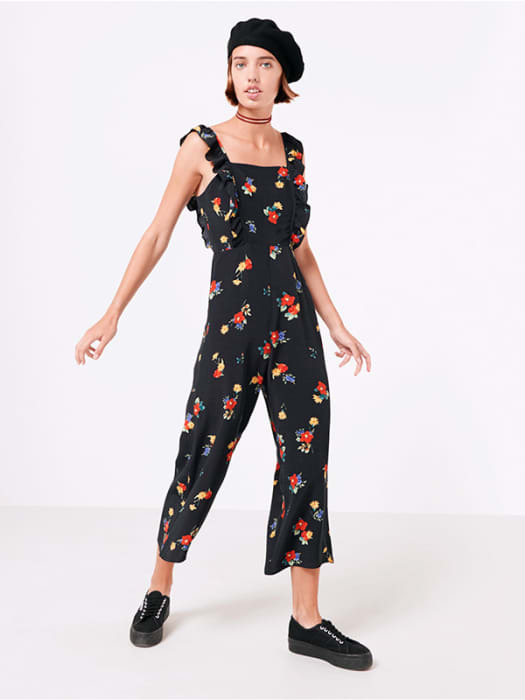 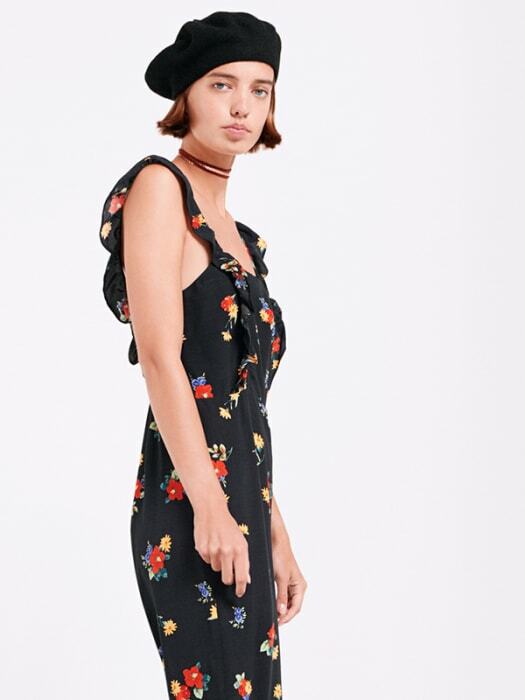 The all-in-one gets a new season refresh with this black Floral Jumpsuit. 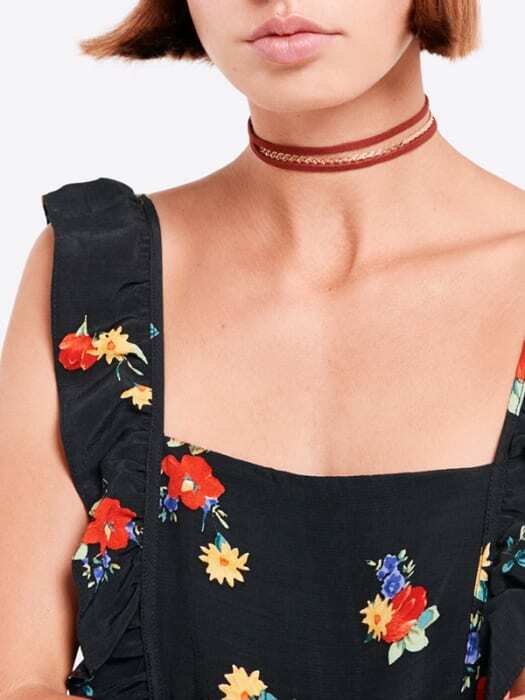 Patterned in pops of vibrant blossom, ruffle detail to the shoulder provides that finishing touch. 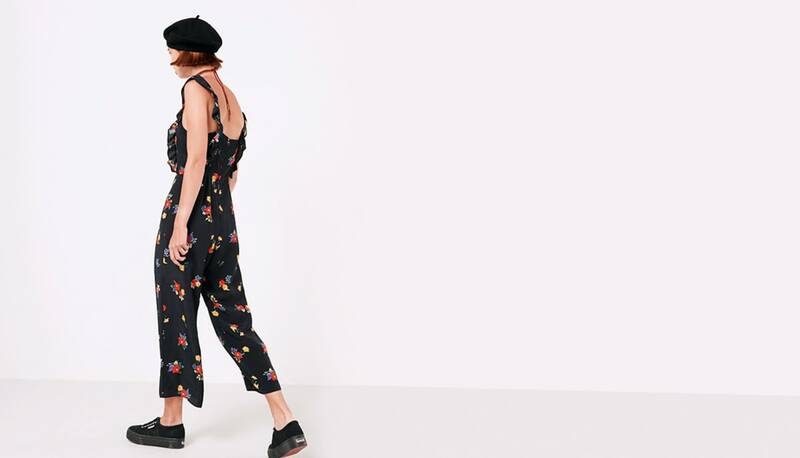 Striking on its own, even more so layered over our leopard print bodysuit… if you dare?